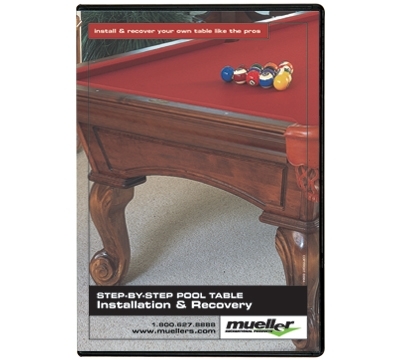 Our DVD takes you step-by-step through the process of installing and recovering your own pool table. Watch as our seasoned mechanics show you in detail the best way to complete each step. You'll learn valuable hints that our pool table mechanics have learned over the years of installing hundreds of pool tables. Also gives you details on what equipment and supplies you'll need to do the job. Most of these supplies are available on this website.